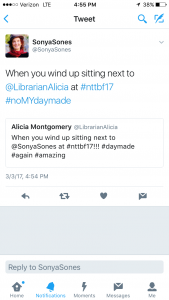 Being as this week is a “catch up” week, I thought I would take some time to blog about NTTBF17! What. An. Event! I have been excited about this event and promoting it with my students and teachers for months. 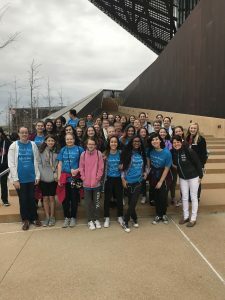 I teamed up with the middle school to bring as many students as possible. We had a bus full! It was great! But I’m getting ahead of myself…I have to work chronologically. Friday, February 3 – Educator Day…a full day! 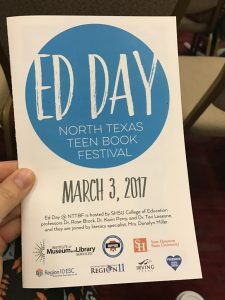 This year, the NTTBF committee decided the Educator Day should be an all day event. And how right they were! Having up close and personal discussions and hearing from incredible authors speaking about their craft and impacting students could go on forever as far as I’m concerned. I blew up my Twitter feed both days with quotes and thoughts and memorable moments from these incredible writers. 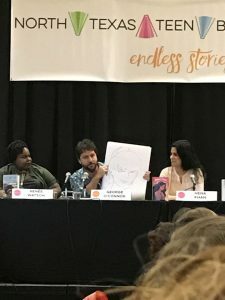 I heard from Jack Gantos, Jason Reynolds, Jon Scieszka, Sonya Sones, Laurie Halse Anderson, Jeff Zentner, Nicola Yoon, Hena Khan, Ally Condie, Renee Watson, George O’Connor, Donalyn Miller, and I’m sure I’m forgetting someone. How often in your life do you get to learn from such an incredible group of people!? I consider myself one of the lucky ones. 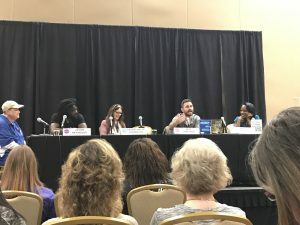 Much of the discussion of the day centered around book diversity, the power of audiobooks, and how best to take students through the writing process. My favorite tweet of the day! Sonya Sones! 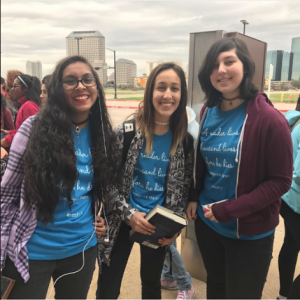 Saturday, February 4 – NTTBF Student DAY! 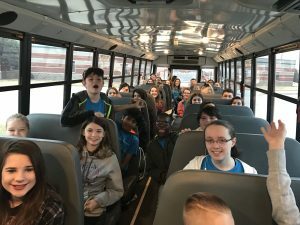 It was an early morning, but our bus full of Argyle students traveled together to the Irving Convention Center where the lines were already out the door well before the doors opened! Students got in line to have an opportunity to meet Veronica Roth and R.L. Stine (eeeeeee!) as well as taking advantage of the event called Speed Dating where they were guaranteed to leave with a free book! Inside the convention center, we had the luxury of buying signed copies of books and I sure did help myself to those! From there, participants (over 10,000 of them…for real!) chose what panels they wanted to attend. 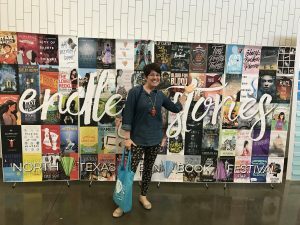 Over 80 middle grade and YA authors were there to talk to them! What an experience. It was crowded and at times a little crazy, but wow! The energy in the building, the excitement, and knowing that lives were being changed really left you feeling so motivated and energized. Reading is far from dead! 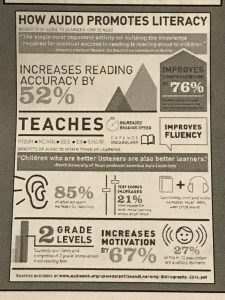 Kids are reading…voraciously! And they will forever remember how they felt meeting some of their favorite authors. I attended some incredible sessions from some of the authors I saw the day before, and some new ones too. 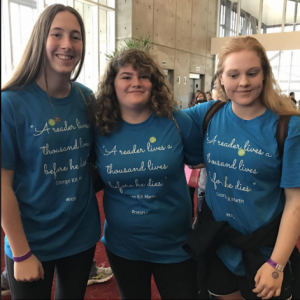 The following week, AHS students who attended NTTBF all came back together and we talked about our day. It was wonderful to hear the stories from the students about what they liked best, who they met, what books they were excited to read. The time it took to plan for the event was so worth it hearing their excitement! The date for next year has been announced…April 20-21, 2018. I’ll for sure be there and hopefully I’ll have even more kids and teachers with me!